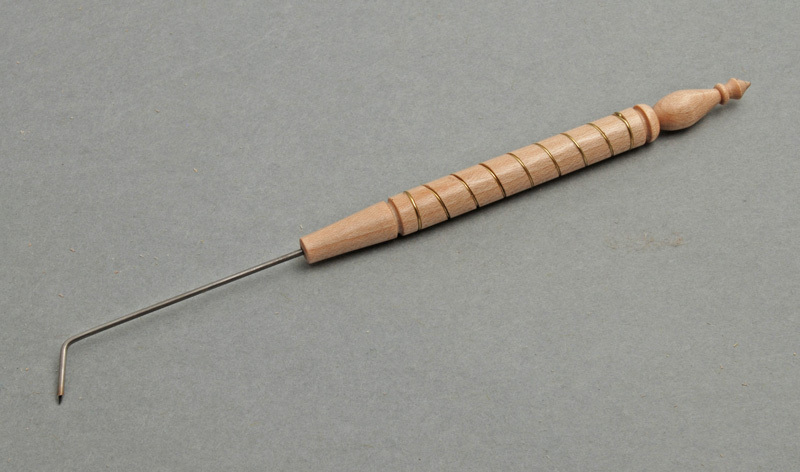 The Glass Rake is for manipulating glass when making glass beads. It has a sharpened point of 0.055" stainless steel. It's $16. Send me an email at David@DavidReedSmith.com to order or inquire about wood or point options.